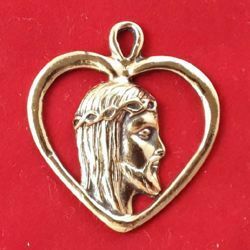 Confraternity medals and medallions, devotional pendant medals in 24k gold or 1000/1000 silver plated gilded brass; commemorative medals for anniversary in silver and bronze. 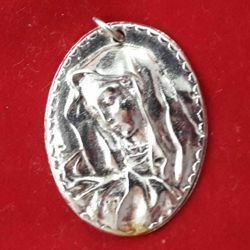 Confraternity medallions and devotional pendant medals with different traditional subjects: Saint George, Virgin Mary, Saint Joseph, our Lady of Lourdes, Jesus, St. John the Evangelist, St. Tarcisius, St. Anthony, Blessed Sacrament. 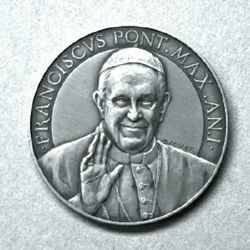 Anniversary silver and bronze official medals for the canonization of John XXIII and John Paul II, and for the first year of the Pontificate of Pope Francis, minted by Istituto Poligrafico e Zecca dello Stato Italiano in a limited and numbered edition. Dimensions: cm 5x10 (1,9x3,9 in). 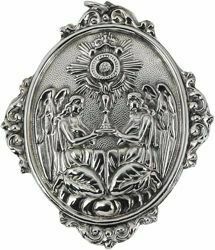 Confraternity Medal, 24k gold or 1000/1000 silver plated gilded brass votive object. The Confraternity Medal is delivered in a cardboard gift box with a Certificate of Origin and Guarantee. Dimensions: cm 9,5x10,5 (3,7x4,1 in). 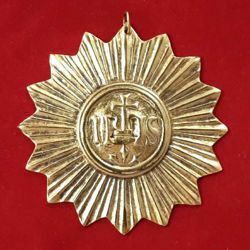 Confraternity Medal, 24k gold or 1000/1000 silver plated gilded brass votive object. The Confraternity Medal is delivered in a cardboard gift box with a Certificate of Origin and Guarantee. 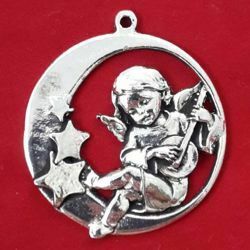 Dimensions: cm 7x10,5 (2,7x4,1 in). 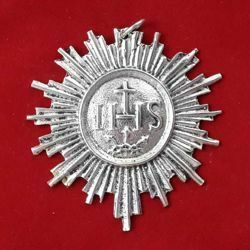 Confraternity Medal, 24k gold or 1000/1000 silver plated gilded brass votive object. The Confraternity Medal is delivered in a cardboard gift box with a Certificate of Origin and Guarantee. 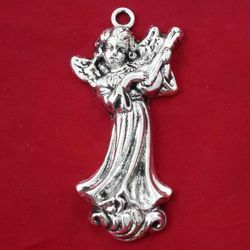 Dimensions: cm 12x13,5 (4,7x5,3 in). 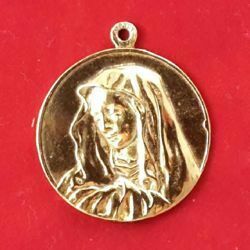 Confraternity Medal, 24k gold or 1000/1000 silver plated gilded brass votive object. The Confraternity Medal is delivered in a cardboard gift box with a Certificate of Origin and Guarantee. 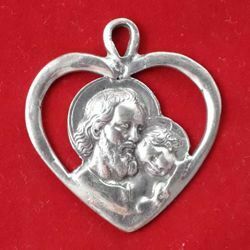 Dimensions: cm 6,5x9,5 (2,6x3,7 in). 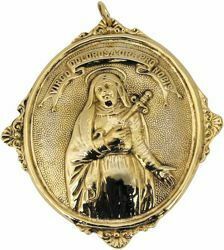 Confraternity Medal, 24k gold or 1000/1000 silver plated gilded brass votive object. The Confraternity Medal is delivered in a cardboard gift box with a Certificate of Origin and Guarantee. Diameter: cm 10 (3,9 in). 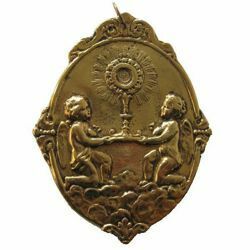 Confraternity Medal, 24k gold or 1000/1000 silver plated gilded brass votive object. The Confraternity Medal is delivered in a cardboard gift box with a Certificate of Origin and Guarantee. 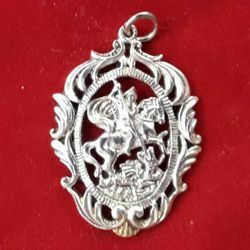 Dimensions: cm 7,5x5,5 (2,9x2,2 in). 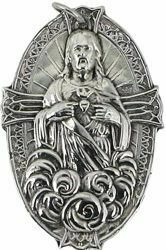 Confraternity Medal, 24k gold or 1000/1000 silver plated gilded brass votive object. The Confraternity Medal is delivered in a cardboard gift box with a Certificate of Origin and Guarantee. Dimensions: cm 13x15 (5,1x5,9 in). 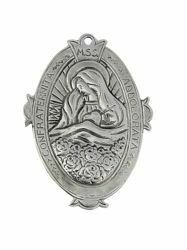 Confraternity Medal, 24k gold or 1000/1000 silver plated gilded brass votive object. The Confraternity Medal is delivered in a cardboard gift box with a Certificate of Origin and Guarantee. Dimensions: cm 4,5x5 (1,8x 2,0 in). 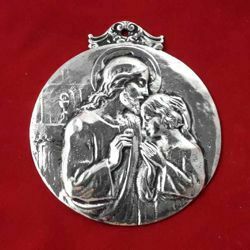 Devotional medal, 24k gold or 1000/1000 silver plated gilded brass votive object. 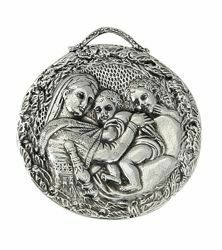 The medal is delivered with a Certificate of Origin and Guarantee. Dimensions: cm 4,5x3,5 (1,8x 1,4 in). 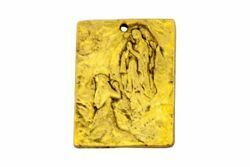 Devotional medal, 24k gold or 1000/1000 silver plated gilded brass votive object. The medal is delivered with a Certificate of Origin and Guarantee. Diameter cm 3,5 (1,4 in). 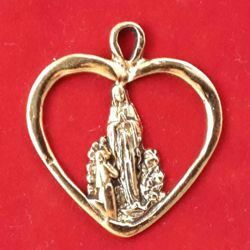 Devotional medal, 24k gold or 1000/1000 silver plated gilded brass votive object. The medal is delivered with a Certificate of Origin and Guarantee. Dimensions: cm 15,5x13 (5,9x5,1 in). 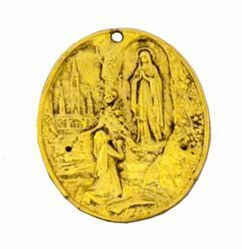 Confraternity Medal, 24k gold or 1000/1000 silver plated gilded brass votive object. The Confraternity Medal is delivered in a cardboard gift box with a Certificate of Origin and Guarantee. 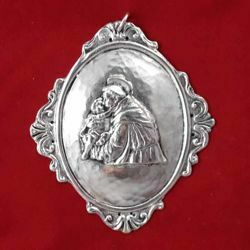 Dimensions: cm 7,5x7,5 (3,0x 3,0 in). 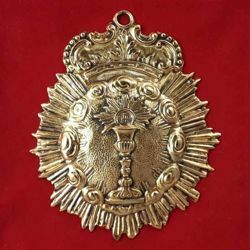 Confraternity Medal, 24k gold or 1000/1000 silver plated gilded brass votive object. The Confraternity Medal is delivered in a cardboard gift box with a Certificate of Origin and Guarantee. Dimensions: cm 9,5x9,5 (3,7x 3,7 in). 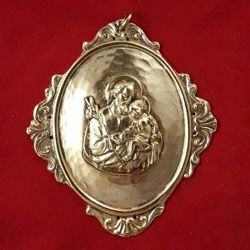 Confraternity Medallion, 24k gold or 1000/1000 silver plated gilded brass votive object. The Confraternity Medal is delivered in a cardboard gift box with a Certificate of Origin and Guarantee. Dimensions: cm 3,5x5 (1,4x 2,0 in). 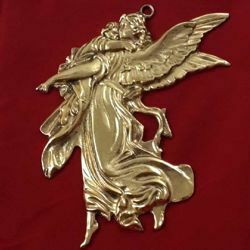 Devotional medal, 24k gold or 1000/1000 silver plated gilded brass votive object. 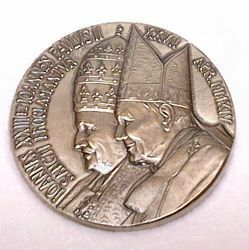 The medal is delivered with a Certificate of Origin and Guarantee. Dimensions: cm 11x10 (4,3x3,9 in). 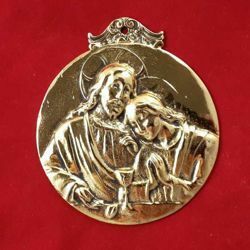 Confraternity Medal, 24k gold or 1000/1000 silver plated gilded brass votive object. The Confraternity Medal is delivered in a cardboard gift box with a Certificate of Origin and Guarantee. Dimensions: cm 13x11,5 (5,1x4,5 in). 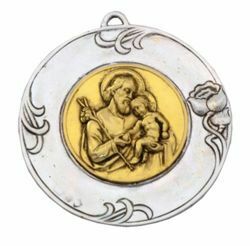 Confraternity Medallion, 24k gold or 1000/1000 silver plated gilded brass votive object. 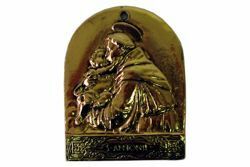 The Confraternity Medal is delivered in a cardboard gift box with a Certificate of Origin and Guarantee.